Remarkable. Multi-purpose. Multi-award-winning. The original balm cleanser. Soothing and skin-brightening moisturisers with a matt finish. Perfect to wear with or without make-up. Achieve brighter, healthy-looking skin with the Deluxe Kits from Eve Lom. This acclaimed cleanser, suitable for all skin types, is a remarkable, multi-purpose product and the basis of the Eve Lom skincare routine. Used with a specially woven muslin cloth (enclosed with the product), the Cleanser removes daily dirt and impurities while decongesting, exfoliating and toning the skin. Clove Oil's antiseptic properties encourage clear skin, and Eucalyptus Oil helps drain away toxins. Hops Oil tones, and Egyptian Camomile Oil and Cocoa Butter soften and condition the skin. The result is balanced skin, in optimum health. At EVE LOM, we believe anyone can achieve a beautiful radiant complexion through straightforward and effective skincare. Whatever your age, skin type or skin concern, proper cleansing and gentle exfoliation enables your skin cells to regenerate quickly, and creates a vital receptive base for beauty products to work at their best. 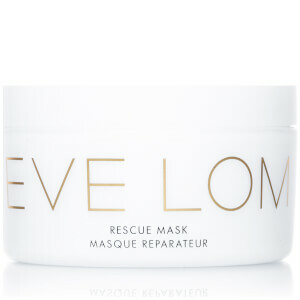 So that’s the EVE LOM core philosophy: perfectly cleansed, exfoliated skin is the key to a glowing complexion. 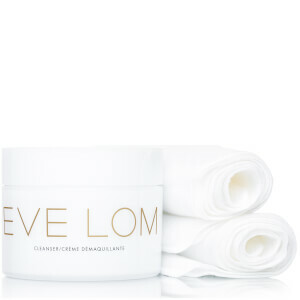 From cleansers to lip treatments, discover the bestselling Eve Lom products. 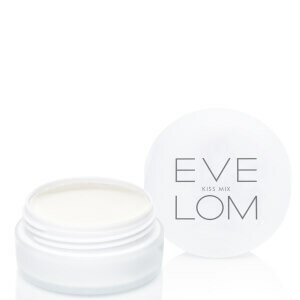 Achieve a more radiant and even toned complexion with this White Brightening Cream from Eve Lom. Believing in simplicity and beauty, Eve Lom brings you a line of luxury skin care developed to give you a glowing and radiant complexion. The brand is a pioneer in the world of skin care, having won a variety of awards and with over 25 years of expert knowledge that thrives on the benefits of potent and unique ingredients. Believing that no matter your skin type and no matter the concerns you may have, the brand’s philosophy of thorough cleansing and gentle exfoliation ensures that you can transform your skin with the help of these luxury products. This global company is confident that anyone can achieve the gorgeous complexion that they desire, so put your trust in a quality product within this coveted range and transform your beauty regime for the better! The ingenious Age Defying Smoothing Treatment is created with super-potent peptides. This specially advanced anti aging skin care treatment aims to smooth the skin and reduce wrinkles without creating the 'frozen' effect, giving you a youthful glow. Made from revolutionary patented hexapeptide, a mix of five amino acids, this concoction delays skin ageing and reduces wrinkle depth. Browse the full range here at Lookfantastic.com and save with free delivery options.